Do you want to know how many Developer Preview downloads Microsoft had so far? During the first 24 hours of its availability, 500.000 copies have been downloaded, indicating that people are already excited by this version. What about the schedule? Take the schedule of Windows 7 and copy-paste it. Although Microsoft doesn’t want to say anything about this, we’ve already knew that we should have the final version after summer 2012. So if you make some simple thoughts, you can guess that we’ll have a beta version around January or February (maybe in time for CES), a RC version in April and a RTM in July. My sources in Microsoft tell me however that starting from the beta version, we’ll see a lot of changes. It is important to understand that THIS IS NOT A BETA, it is an “alpha” version with a lot of features missing. Everything is subject to change, even the appearance of this OS, so stay tuned and follow my blog or my twitter account at http://www.twitter.com/spanougakis/. Even the name of this OS might change, and there is a simple reason for that: if you abbreviate the name and make it, let’s say, W8, it can easily be pronounced “W-ait”, which is not a good name for Microsoft…. This is probably a good choice if you want to play with Windows 8, without having to sacrifice a physical system. Of course you could use Hyper-V, but I believe it’s better to use real hardware, just to see how a real PC interacts with drivers. 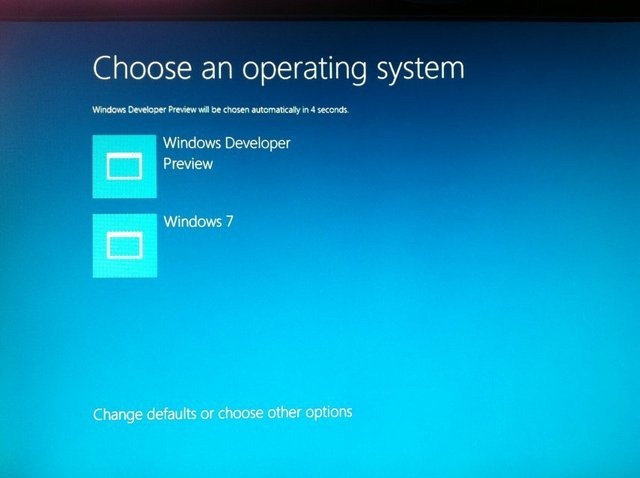 The next step is to start your Windows 8 installation using the ISO file that the whole planet already downloaded, so start your computer and go on with the installation. At some point you’ll see the screen that prompts you to select a hard disk for the installation. 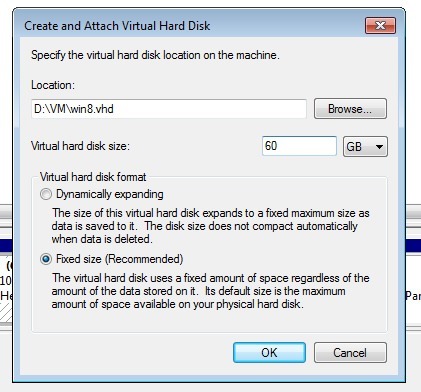 Remember, we want to install Windows 8 on the VHD disk we’ve already created.So at this point DO NOT SELECT a hard disk but hit Shift-F10 to go to a command prompt. 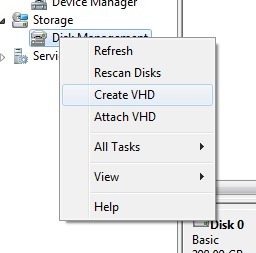 Now by pressing Alt+Tab you focus back to the disks selection window, hit refresh and you’ll see that your new VHD disk is listed. If you select to install Windows 8 on this disk, you’ll get an error message that Windows cannot be installed on this disk, but you can proceed with the installation. After some time you’ll asked to reboot your machine, so please do it. And here is where the good part begins….. If you remember the procedure that we did in order to boot from a VHD a Windows 7 machine, you already know that we have to play with BCDEdit and add an entry in the boot manager. You can go back in time and read an excellent article by Nasos Kladakis here, where he explains the whole procedure. But this not the case in Windows 8, because this new OS noticed that I want to boot from a VHD and already created automatically an entry in the boot manager, saving a lot of work! Special thanks to Scott Hanselman for letting us discover this feature.